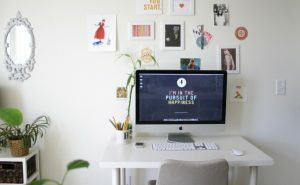 Your office space has a direct impact on your productivity. Walking into an office space that is cluttered and in disarray will hamper your entire day. 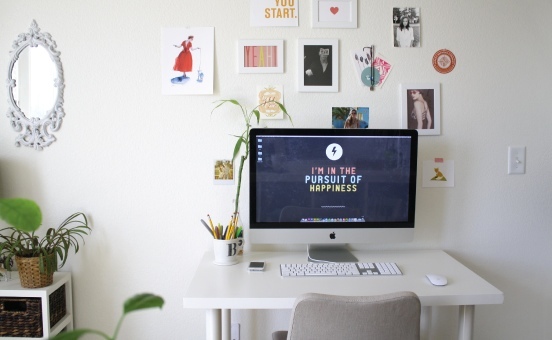 If you set up your space properly, you’ll be more productive and motivated all day long. A few tweaks can help you make the most out of your office space. Clean your space daily. A brief 15 minute cleaning and reorganizing will allow you to start the day clutter-free. Remove all of the items on your desk that are not necessary. All too often productivity dips when workers get hungry. Your stomach starts to rumble and before you know it, you’re heading to the vending machine grabbing an unhealthy, sugar-filled treat. If you stock up on treats that are healthy, you’ll boost productivity and stay focused throughout your day. Remember, these are items that need to be stored in a container. Think healthy nuts and dried fruits, or fruits that can remain out on your desk or in a drawer. While providing you with nutrients, these foods will help you remain motivated and satisfied all day. Does your office feel like doom and gloom when you walk in it? Most people have experienced this before. It’s not a good feeling when you come into the office and want to run the other way to escape. If you decorate your space properly, you can make it your own. After all, who wants to spend 40 hours a week in a space they hate? Motivational quotes, pictures, paintings and family photos are just a few ways you’ll be able to make the space your own. A good tip is to place these inspirational items in places that your eyes often wander. A quick motivational quote may help you stay on track so you can get through the day and be more productive in the process. Plants are also great decorative items that will add some life to the room – literally. Employment Solutions is dedicated to providing staffing solutions in Longmont, CO. Whether you are a recent graduate of CU Denver, CU Boulder, CSU, or you are just on the job hunt in Longmont, Colorado, our experienced staffing agency is ready to help you find a job that you love, or find the right staff for your workplace. Our Longmont office is located in the shopping center near the intersection of Ken Pratt Blvd and S Main St. Call us today at (303) 729-1000.